An offering ceremony to make the mountains of merit needed to sustain a strong relationship with the guru. This is a shorter version of the puja, done in English, so people new to the practice can learn the meaning and become familiar with the visualisations. The puja contains the whole path to enlightenment, strengthens the relationship to the inner Guru, and creates a powerful potential of spiritual growth. 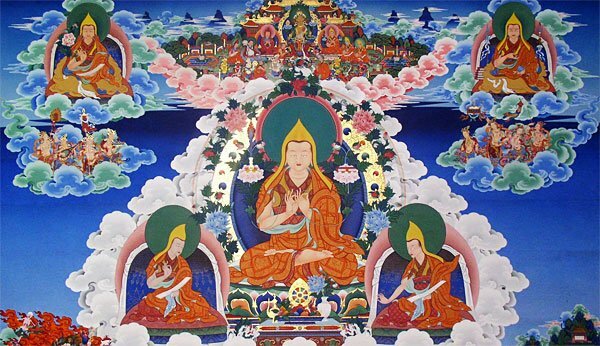 Guru Puja with Tsog is traditionally offered on the Tibetan 10th and 25th each month. We also offer chai and make group and personal dedications. Everyone is welcome, although the practice is specifically aimed at people with an HYT initiation (with a commitment to learn and perform this practice).